To say this pronouncement caught me off guard is an understatement. ‘Tis true. Have you ever seen a Polish name? They are absolutely bogged down with zs. Poles are also fond of the letters y, c, and k. Hello, Walerian Borowczyk. How do you do, Zbigniew Cybulski. My last name does have a k in it. Could this be the missing Polish connection that had eluded me all these years?? “I thought we were Russian and Czechoslovakian?” I asked. “Well, the borders shifted a lot over the years,” came the reply. Man, talk about confusing! A few years ago I had to contend with the fact that we might actually be Hungarian instead of Czech because of those same, elusive “shifting borders.” Then there was the Austrian false alarm from last spring. A friend had done some genealogical research and for a few glorious days I mistakenly thought I’d descended from a bunch of Austrian peeps, until I dug deeper and realized the town they actually hailed from was part of the Austria-Hungarian empire and was technically within the Hungarian border. Goodbye, lederhosen and schnitzel and The Sound Of Music – hello, paprika. So, I took the news of my Polish ancestry somewhat dubiously at first. This time, my mom was sure. Some distant relative – a great-grandmother, or a great-great grandmother, I believe – listed Poland as her native country, and her last name (starting with a Z and ending with an i) did, indeed, back up this claim. It seems that I am, indeed, part Polish after all! 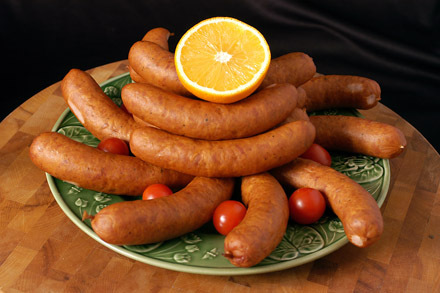 I always did like Polish sausage. (Courtesy of sweetpoland.com). 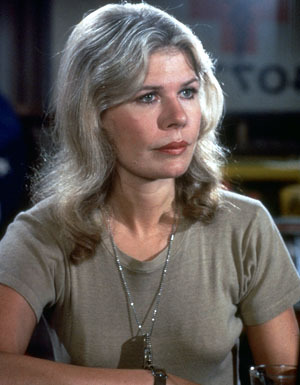 This news did not really surprise me, given my penchant for kielbasa and fondness for Loretta Swit, who played Major Margaret “Hot Lips” Houlihan on M.A.S.H. Yeah, she’s Polish, as is Richie Sambora of Bon Jovi and the Wachowski brothers (who directed The Matrix). “You Give Love A Bad Name” is an awfully catchy song, one that I was quite fond of in 1988, and I really dug that movie starring Keanu Reeves. In retrospect, my Polish heritage seems a given. I was, in fact, secretly delighted to learn I was Polish. I figured, this gives me a built-in excuse whenever I screw up and do something dumb, what with the abundance of Polish jokes. Hey, maybe it does take a bunch of us to screw in a lightbulb – I’m okay with that! Mastering clockwise motion is trickier than you might think. And before you get all bent out of shape and call me a racist, it’s okay – I can make those jokes since I’M POLISH. And you know what? There’s some basis to that stereotype. It seems that, when Polish people emigrated to America, their primary motive was to earn money for their families back home. As a result, they chose to move to urban areas and work in factories and mills rather than focus on education, since a hard day’s work was valued more than an education at the time. So maybe they – nee, WE – weren’t book smart, but we were hard workers! Plus, in the Polish culture, humor was relied on to deal with the constant turmoil and political strife in the motherland. It appears that the famed “Polish joke” actually originated from Poles themselves! I do have a killer sense of humor, by the way. I should have known that I was Polish all along! I might be related to Margaret “Hot Lips” Houlihan! Sadly, Rusty did not take the news as well as I did. When I told him he was part Polish he said, “I’d rather be Italian instead. Or black.” He seemed quite crestfallen when I told him the odds of either of those races appearing in his lineage were slim to none. I told him that Steve Wozniak, co-founder of Apple, was Polish, thinking that would sway him a little since he does love his iPhone, but nope. He’s secretly hoping we’re somehow related to Martin Scorsese or Tupac Shakur. I told him he should simply be thankful we named him Rusty instead of Andrzej or Krzysztof or something. If I’d known then what I know now, I might have pushed for one of those names! I, for one, am embracing my Polish ancestry. Catherine I, the second wife of Peter The Great and Empress of Russia from 1725-1727, was Polish. I can’t help but be proud of that association! Coincidentally, when I posted news of my Polish heritage on Facebook, Tara’s aunt informed me that she, too, is part Polish. It’s just one more thing we have in common. Polish power, unite! Solidarni, as my people say. How many Polaks did it take to design the flag, I wonder? Who cares – it looks awesome! This was a most bizarre post. Why, you ask? Because I could have written it word for word. That story you mention of shifting borders was the topic of many a heated debate around the holiday table (while eating kielbasi and kapusta). One year, the Austrian connection was even thrown into the pot. How weird is that? I can’t wait to show my parents this post. Margaret? COUSIN Margaret?! Is that you??? and have the same last name and her grandfather and my grandfather were brothers and Iam always asked “Hows Lorretta” well I don’t know since I met her only once or twice in my youth. And I look like her also so what do I do to prove it and Iam polish also. In that case, maybe you and I are also related, Stan! How great to hear from somebody who’s related to Loretta. I loved MASH! Thanks for stopping by and commenting. different spelling of the last name. Also went to same Hs as my cousin in Passic,NJ and she grew up on 8th street in Passaic. OH well alot good its done me as everyone ask me “Hows Lorretta mmmmmm? In my family being Polish is the same thing as German…what the? I said to grandma, but we are German. Sweetie, she replied, Polish is the same thing! Clearly gran failed geography. So Mark, you are German too! Very cool! Yeah…I’m not sure how I feel about feeling polish…our other grandma was part Irish so that’s the part I embrace…and I’ve heard we have a tiny bit of Indian…not sure where that even came from but it sure is cool! If you really think about it…we’re all mostly from Europe…so I’m just going to say I’m European….!! It’s much easier to make a blanket statement like that, Tracy. Besides, saying you’re European just sounds so cosmopolitan. I’m going to start doing that, too. Boy, you mom is right about the bornders changing. When we talk Eastern Europe ancestry, we should be discussing regional heritage rather than that of a particular country. That’s the case with much of thw world these days, I suppose. Interesting news. Regional heritage, indeed. In fact, I think I’m just going to simplify matters and from here on out call myself an “earthling.” No shifting borders to contend with that way. Don’t feel bad. I am an Italian Presbyterian Republican from New York living in Miami. Oy vey. Talk about a fish out of water! I think it’s great that we share the same background, babe. As long as we don’t someday find out we’re distant relatives of some sort. Awkward! Mark, this was a FASCINATING post! Now, I have to honest with you and say that I have always thought you WERE Polish. For some reason, your last name (ska) sounded Polish to me! As you know, I’m Italian, but people can never figure it out because of the spelling of my last name (Carnavil). My actual name, before it was change, was Carnavale, so that does sound and look more Italian. Bwhahahahahahahaha! OMG….that made me HOWL! Great post, buddy! Have a faaaaaabulous weekend! Polish last names end with an “i” more frequently than an “a.” That’s what I learned a long time ago, when my dad told me how to tell we weren’t Polish. 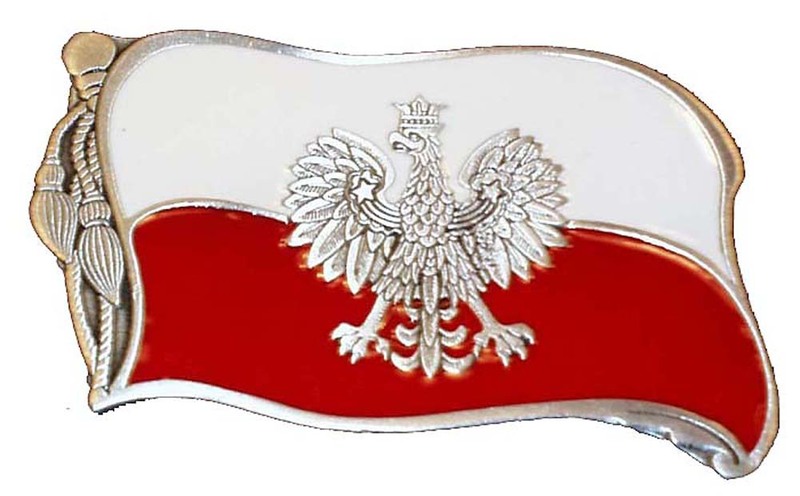 Then again, the Polishness comes from my mom’s side of the family. Oh my God, Mark. Your blog is amazing. I literally laughed soo hard about Rustys comment about wanting to be Italian or Black. Being related to Tupac would be awesome. I love being Italian too…when people ask me what I am, I just say Italian…but really I am Italian, Spanish, English and French…and I heard recently that I’m a little bit Irish too…which made me THRILLED because now I can get a “Kiss me I’m Irish” shirt….WOOT! I’m glad I can make you laugh, Michelle! I saw your “I’m part Irish” post on FB the same night I posted that I was part Polish. Funny how that worked out! Too bad there’s no such thing as a “Kiss Me I’m Polish” shirt. That would be pretty cool. My very post yet! And I know, I saw that. It’s funny we both found that out the same day! Only the Irish get the cool shirt…and NOW that’s ME!! woot! LOL. I knew what you meant. And thanks for all your sweet comments! I have to admit, I’m a bit envious that you get a shirt and we Polaks get nothing. Discrimination, I tell you! I was very blonde as a child. All those years in Hawaii running around in the sun pretty much bleached all the color out of my hair. Once I hit 5th grade (Ohio) it turned brown.